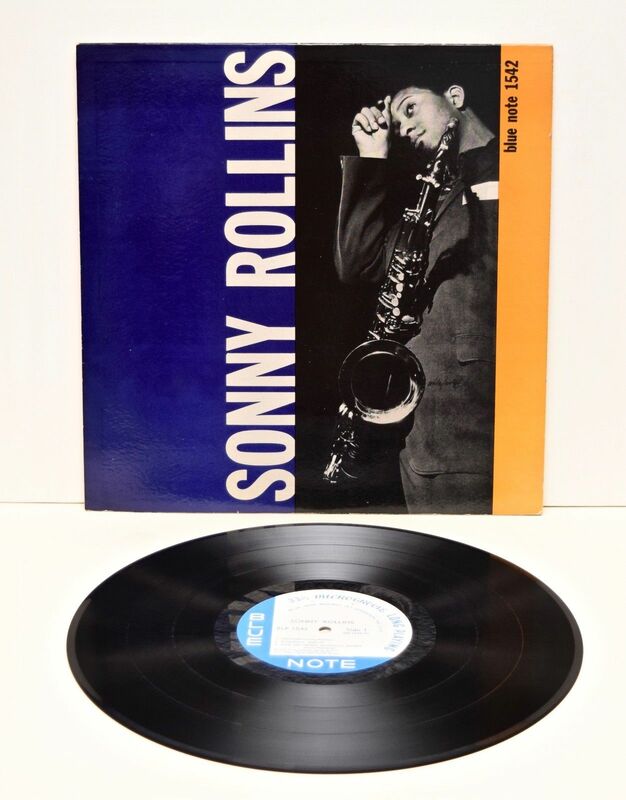 This is the original with the deep groove on both sides album that has the Blue Note address on the sleeve and label plus in the run off grooves is RVG and the "ear". The front of the sleeve is near mint and shows no signs of wear, the back has minor ringwear, a small number in red ink on the top right and there is a light stain (moisture?) about two-three inches wide down the spine side. The spine/seams are all intact but there is edge wear on the bottom but on the spine and top it's minimal. The labels are nice and clean with no spindle marks and it appears the vinyl was not played much but there is some minor surface noise.